I was born in Poland and came to the UK when I was 10. I’ve been here for six years now and believe that on the whole, no matter where we come from, we’re all the same. Young people would benefit from recognising this, and from being open to people from different backgrounds. It’s my view that this should extend to their relationships. Young people should celebrate and respect differences in intercultural relationships, rather than being put off by them. With Fixers, I’m helping to create a radio show and podcast focussing on relationships that bridge cultural divides. I hope to show that people of different heritages can learn a lot from each other, and that bringing people together is much better than being apart. Ian Norman and the team at Pent Valley Technology College have given me their backing. They helped me to organise a focus group as part of my project. Nicolette Bassain from Valley FM, the radio station at Pent Valley Technology College, has supported my Fix. I was able to record both my podcast and part of my broadcast film in their studios. The team at Shepway District Council have supported my project. Councillor Jenny Hollingsbee, Cabinet Member for Communities, agreed to be a panellist on my radio show and podcast. The discussion was filmed to feature in my broadcast piece. Michele McManus, Crime Reduction Officer at the council, also offered her support. She suggested Councillor Hollingsbee for the panel. Julie has supported my Fix. As a panel member contributing to my radio show and podcast, she offered her views on my Fixers project. She also agreed to appear in my broadcast film. Milan has also supported my project. As well as sitting on the panel for my radio show and podcast, he agreed to feature in my TV broadcast. With Fixers, I’ve helped create a podcast to celebrate relationships between people of different backgrounds. Press play below to listen. 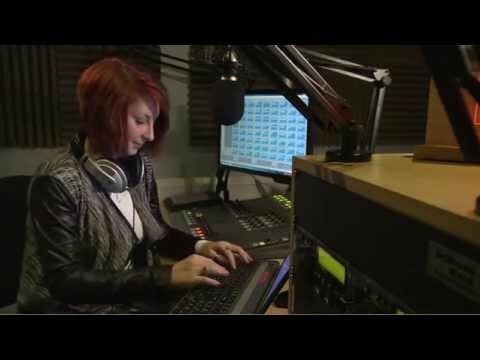 I recorded my podcast in the studio at Valley FM. I was joined by a panel of experts - Julie Larner, Community Engagement Consultant, Milan Dvorsky, Psychotherapist, and Councillor Jenny Hollingsbee – who participated in a discussion about cultural differences in relationships.